Thank you for inviting Allied Siding & Windows into your home. 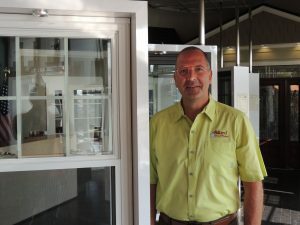 Not many investments offer the immediate value and enjoyment that you get from a successful home improvement project. But with this decision comes a tool box full of challenges and questions to be addressed. Demand a brand! You would never buy a car from a manufacturer you have never heard of so don’t accept home improvement products from a no-name manufacturer. At Allied we carry only brand names that you have heard of and have been around for decades! Generic brands and bundles are okay for paper towel at the grocery store – not your home! Get it done right! I can buy a Fender guitar but I’ll never play like Jimi Hendrix… Because I’ve not been trained! So – you can get the best brand products but if they are not properly installed by trained crews they will not perform properly. Our crews are manufacturer trained to ensure your name brand products are will perform to maximum potential! Local company with backing! The home improvement industry is fraught with companies changing names or locations every few years to ‘start over’. Allied has been serving Texas since 1988 – when Ronald Reagan was president and gas was $.91 per gallon! Trust a local company with a long term track record. Why Allied Siding & Windows? More than 40,000 satisfied customers in Texas! Same name and phone number for three decades! Industry-leading product and labor warranties! Largest HardiePlank® Lap Siding installer in the US! Largest Simonton window installer in Texas! Affordable, local and reliable…. It’s not just a tag line – it’s a definition of your service experience with Allied. We care for your home and family as if it were our own. And to show you how serious I am about this, I’ve included my personal email and cell phone number below! I invite you to contact me at any time as the success of your home improvement project is my number one goal and personal commitment.